Rarely has a T-shirt-and-jeans combination not remedied a wardrobe rut. Exhausted of your trend-forward pieces for the season? Tee and jeans. Not feeling amazing about your body this week? Good old T-shirt and denim. In other words, the glorious pairing that is a T-shirt and jeans is akin to the insurance policy of the style world. It's always there for you, it always looks good, and it's always easy to put together. However, due to the fact that we do in fact enjoy fashion and strive to push ourselves to experiment more with our closets, we're not settling for only a T-shirt and jeans anymore. Nay, we're ready to take things up a notch. Rather than reaching for solely these two items, let us all consider tossing a third item into the ring. Though it's just an extra piece, it can make a world of difference. For example, a striped tee–and–blue jeans duo is suddenly très chic with the swift addition of a silk kerchief knotted around the neck or through the belt loops. A Western-inspired belt styled with a white tee and blue jeans? We're talking major model-off-duty vibes. In other words, small tweaks make big differences. To help get things rolling, we rounded up 19 unique accessories to stock up on for that next T-shirt-and-jeans look. Scroll down to see and shop your way to a more interesting outfit. 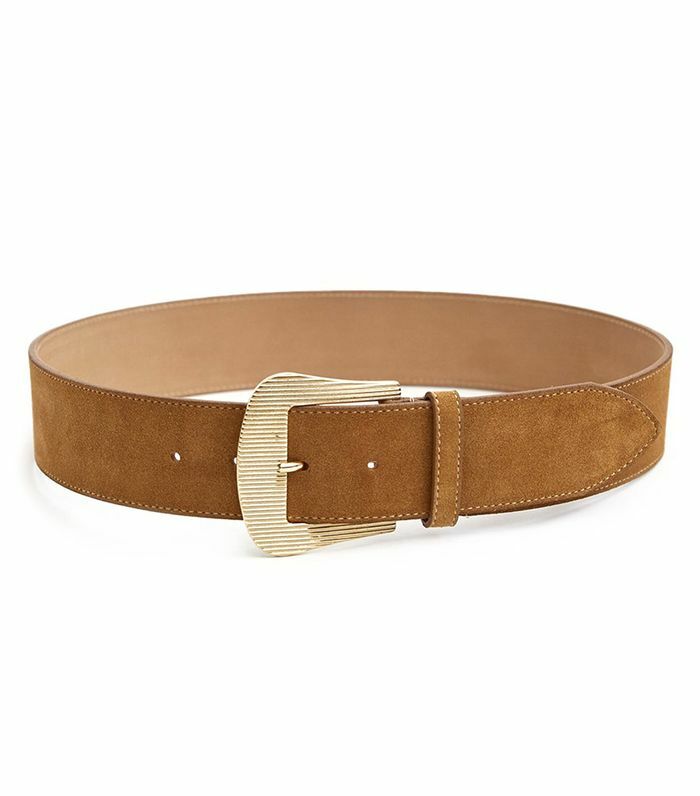 Embrace the Western trend this fall with a cowboy-inspired belt. Knot this scarf around your neck, in your ponytail, or around your waist. A barette is fresh and relevant right now. This velvet headband doesn't feel overly precious. We'll never bore of the bucket hat trend. If you're wearing cropped jeans, let these printed socks peek out from below. The clear Lucite buckle on this belt makes it especially enticing. Secure this architectural brooch to your favorite tee. Just because it's fall doesn't mean you have to stop wearing bright colors. These button earrings are conversation starters. We think chain belts are the coolest accessory of 2018, and you can quote us on that. Go for a luxe lobe. Want more where this came from? We found 19 under-$100 pendant necklaces to add to your collection. Say farewell to your basic elastic bands. Sweet and slightly provocative—we're in. Sometimes a shiny hair clip is all it takes. Baseball cap but make it fashion. Next up: seven more ways to wear your T-shirt and jeans.